You want to clean and polish the floor without ruining it and without exposing your family and furniture to chemicals that attack wood? See how to prepare a DIY solution only with natural ingredients ideal for your parquet flooring. Mix 1 cup of vinegar with 10 drops of peppermint essential oil and clean the parquet with this solution. The room will smell fresh and clean and this concoction will disinfect your floor. Another option is to mix ¼ cup of borax with ½ teaspoon of mild liquid dish detergent. Dishwashing detergent can be mixed in a ratio of 1/8 with ½ cup of vinegar. 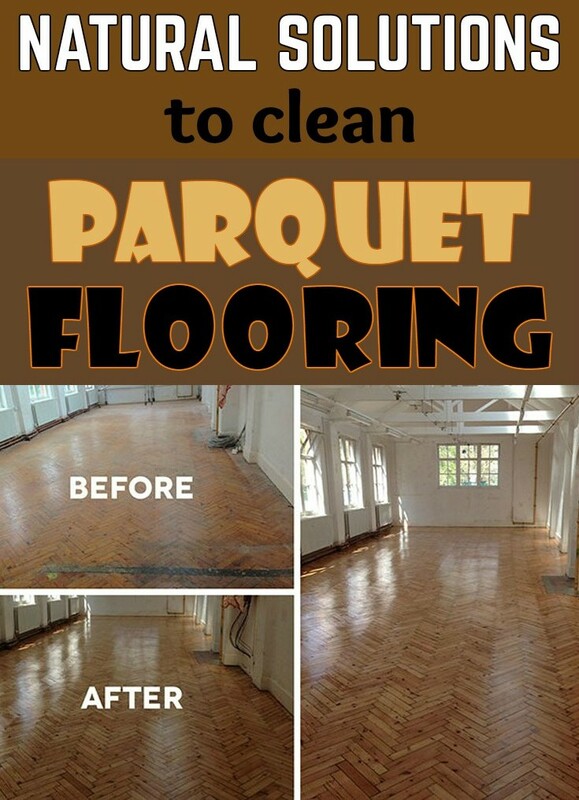 This solution will give shine to any parquet flooring. For very dark parquet flooring, mix ¼ cup of cooled black tea with 1/8 cup of vinegar and 1 tablespoon of liquid dishwashing detergent. A complex blend that cleans and polishes natural wood flooring is prepared from: ½ cup of vinegar, 1 tablespoon of olive oil soap, ¼ cup of alcohol, 2 cups of hot water and essential oils for fragrance. You need: ½ cup of lemon juice, ¾ cup of olive oil and 3 liters of warm water. Another concoction that seems to work both for cleaning and polishing wooden floors is made by mixing olive oil with lavender essential oil and 2 tablespoons of vinegar per 2 liters of warm water.